Derwent® Procolour pencils are the perfect combination of a strong point and smooth laydown, with a texture that has the covering power of wax yet glides like an oil. The richly pigmented pencils maintain a sharp point for detailed drawing while minimal dusting keeps work clean and smudge-free. 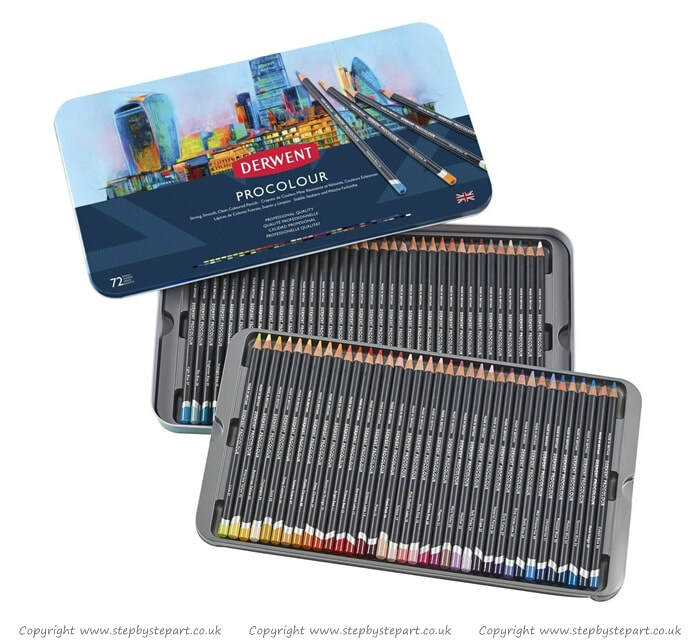 Derwent Procolour is the latest addition to Derwent’s professional range of coloured pencils. Procolour combines the best of the Artists and Coloursoft ranges, featuring the strong point of Artists with the laydown of Coloursoft – giving artists long-lasting precision with a smooth laydown. The unique formulation within each Procolour pencil promises a clean finish every time. Professional artists have praised the range for its strong point, vibrant and smooth colours, colour-mixing and layering abilities and bright tones on a wide range of artists' paper. Procolour pencils also blend beautifully with a range of mediums and artists accessories, including blending pens and paper stumps. 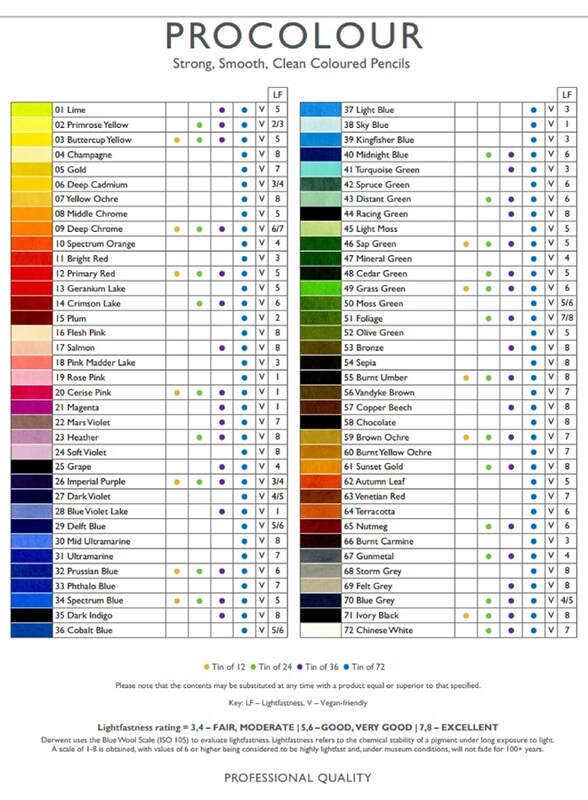 The 'Box' of Inktense pencils includes the full 72 colours. Two identical samples are created. One is placed in the dark and the other is placed in the equivalent of sunlight for a three-month period. A standard bluewool fading test card is also placed in the same light conditions as the sample under test. The amount of fading of the sample is then assessed by comparison to the original colour. 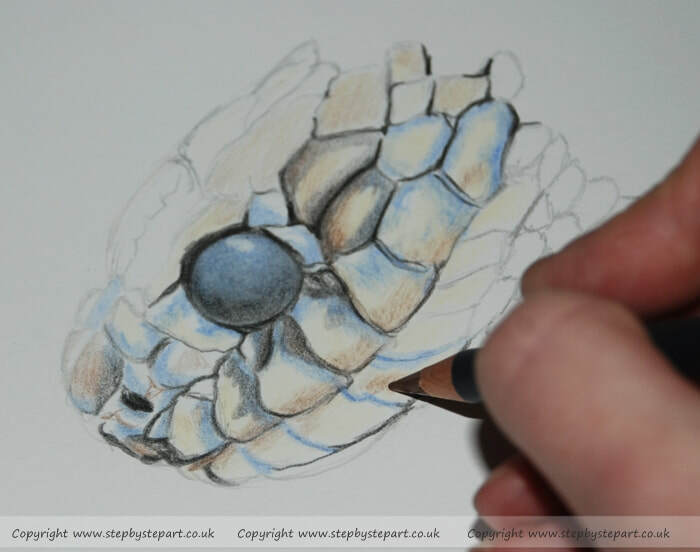 What better why to trial out new coloured pencils like these than to create some detailed Artwork! 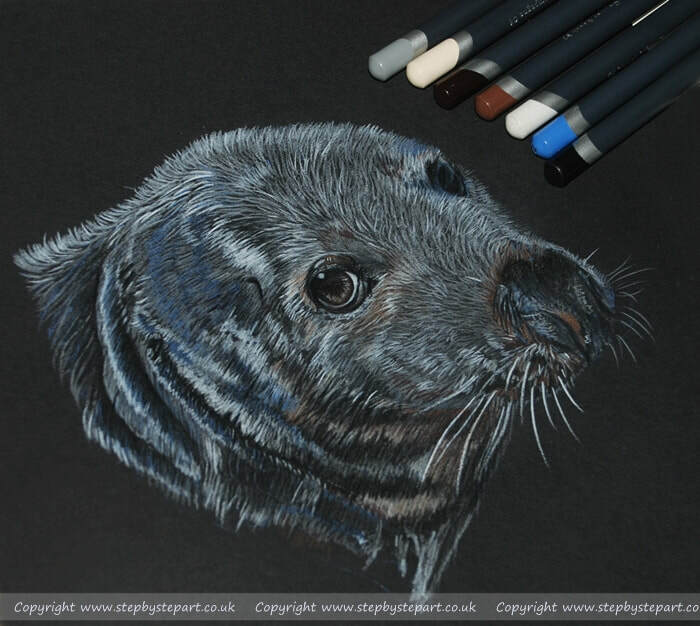 As I had only 7 colours to play with I went searching through my large reference photo collection specifically looking for subjects with these colours, I came up with a Seal that my partner photographed at the Farne Islands a couple of years ago and a snake that I had photographed at Chester Zoo. 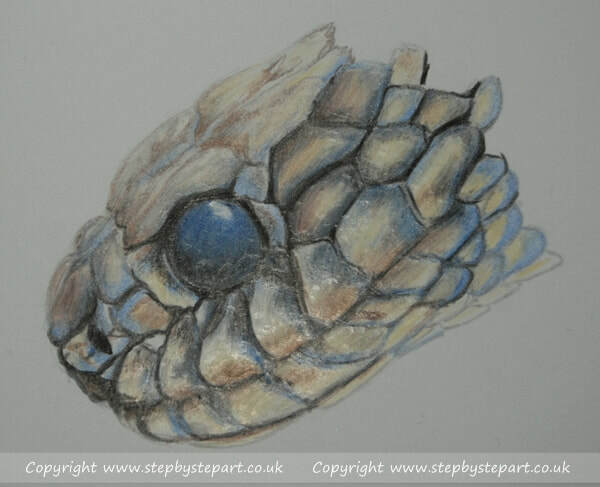 As Derwent Procolour pencils boast 'highly rich pigment', I thought a great way to try them out was on both white and black paper and so the Bockingford watercolour (hot pressed) paper was chosen alongside the Black URSUS paper, both smooth, matt and rather porous, ideal for multiple layering with coloured pencils. 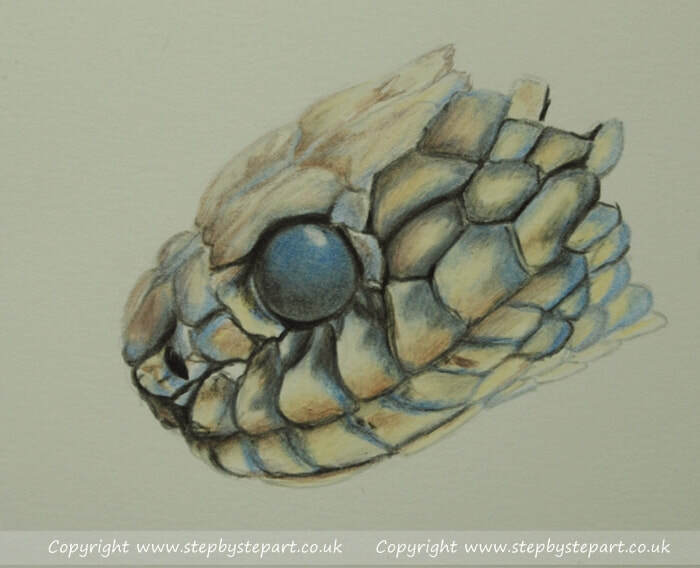 When I began laying the colours down, I found they grabbed well on the white paper and I only needed to apply a soft application knowing I would be blending them together with the Champagne tone. The Black laid down strongly on the paper and I was quite impressed with them as I went along filling in the scaly sections. 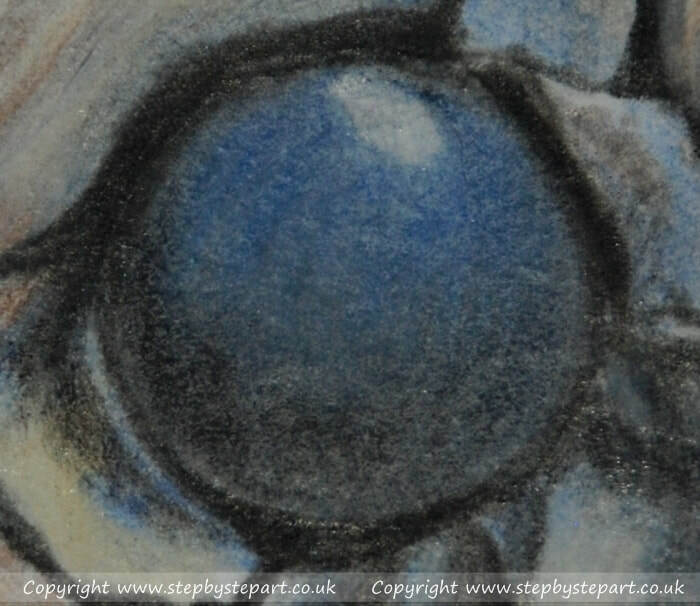 When I came to create the blue eye, i placed the highlight first and softly applied the blue, I followed this up with the 'Storm Grey' tone and a dusting of Black and then used the white pencil to blend, it is at this point I was unable to work over the top, I was completely unable to add any more tones over the top and the pencils simply slipped off. 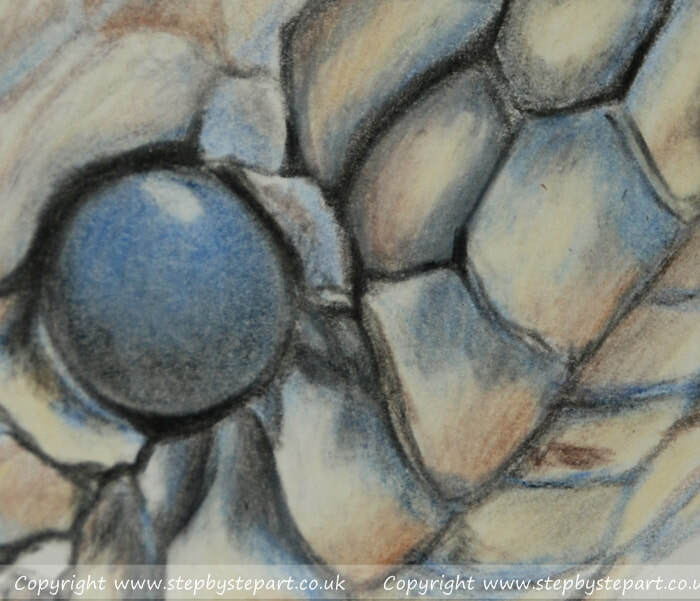 When I began applying the Champagne tone over the scales, I found there was some resistance in the pencil and had to press quite hard to try and blend the edges of the colours on each scale, in the end I gave up and found my hand slightly hurting from gripping the pencil too hard for too long - the pencil also began to squeak very slightly on the paper and so I thought I had better stop in case the paper began to tear. 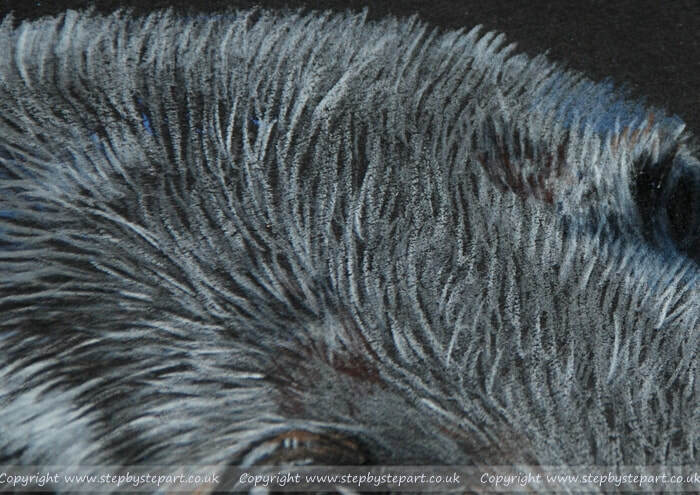 The shiny areas are 'wax bloom' - created after layering and blending tones together. The transition of tones are not quite as smooth as I'm used to. 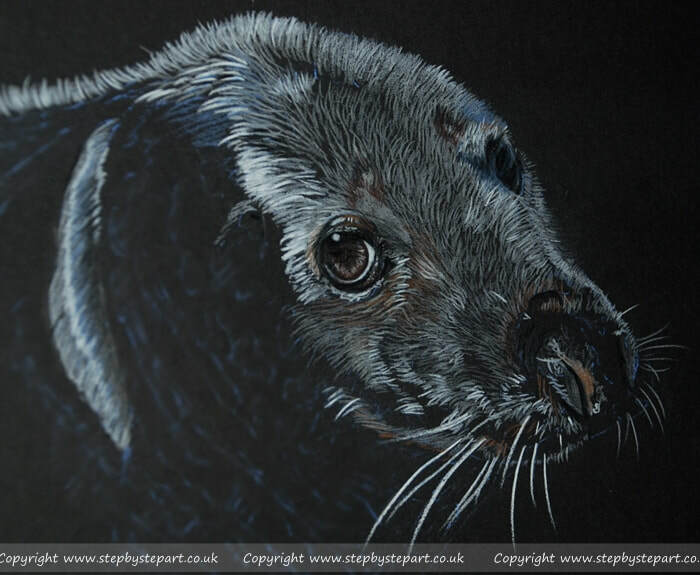 As soon as I begun applying the fur on the seal, I found the pigment laid down really well and the hardness of the pencils were really effective for creating fine lines. Only having 7 colours limited me somewhat so I created a third tone by overlaying a brown over the cream in places. Usually I apply lots of layers to create the realism I like but working on a black base means you can create effect with fewer layers. 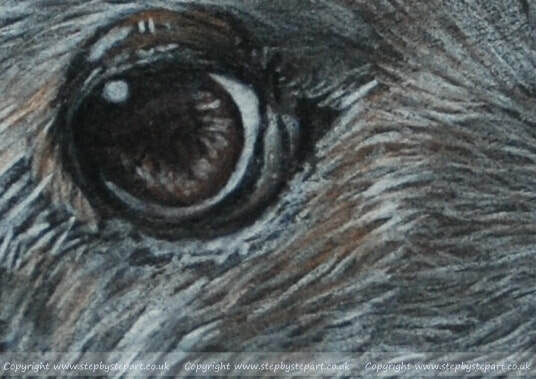 I begun to struggle on the wet fur as this required layering and I found that you really need to plan your layers, applying them light to dark. Black is king and once the black is placed on the paper, there's no layering over it, I even applied fixative to see if I was able to continue the process but the pencil just slipped off and made no difference, at this point I realised that these pencils aren't suited to my own technique and although I had planned on buying a few more colours, I had decided against it in the end. These pencils remind me very much of the Faber Castell Polychromos (article coming on these pencils at some point) - as both of these pencils have hard 'leads' and having always worked with softer leads, I was aware that I would not be able to achieve the same results using the same techniques I usually use. 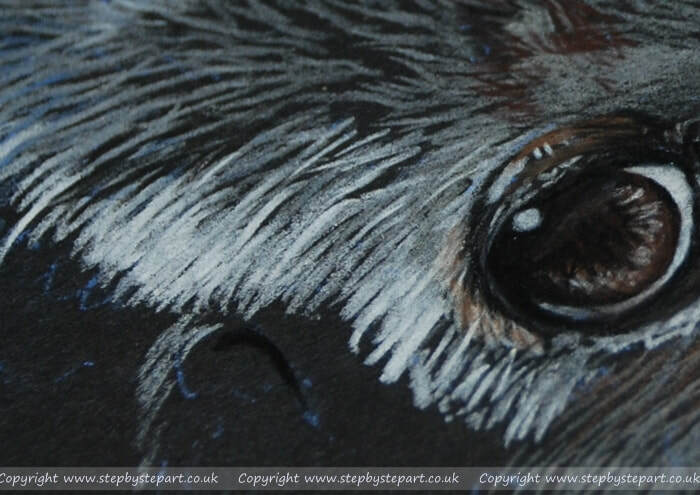 Personally, I enjoyed using these pencils on Black paper as the colours are strong and the 'leads' are harder than most, the pencils did not leave behind a layer of dust at any time and I was able to keep a finer point for much longer which allowed me to create much finer lines. 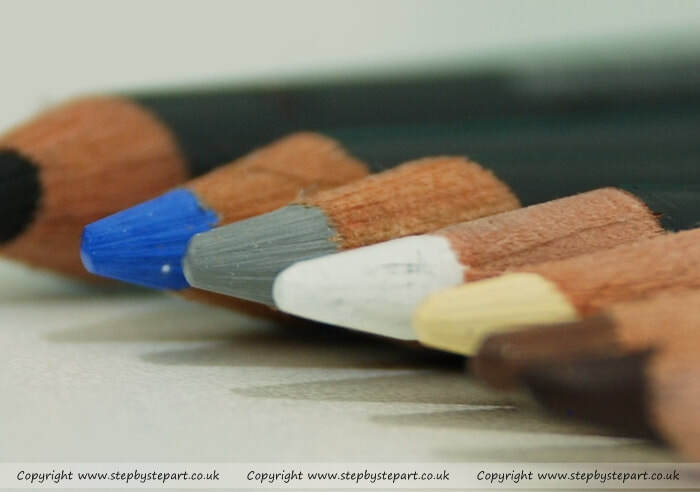 I still find it difficult to believe these pencils are wax based as they tend to be softer cores, but I wonder if Derwent was looking to replicate the hardness of a brand like the Faber Castell Polychromos which are a huge favourite for many Artists, the main downfall of the Procolour pencil is the lightfastness of some of the colours, 28 pencils out of 72 are excellent, the rest are not as good and some are extremely poor (LF1 out of LF8) I think that if you're going to create a professional pencil brand, excellent lightfastness should be of the highest importance, hopefully though this issue may be improved over time by Derwent.